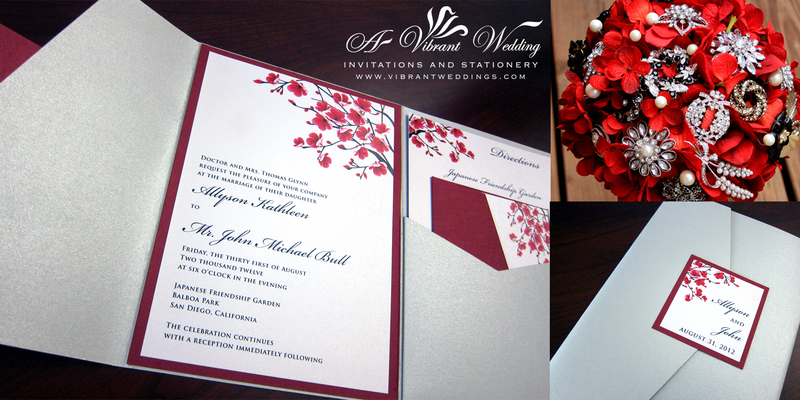 Silver and Red Wedding Invitation with cherry blossoms design. To view our extensive portfolio or to customize your own, please contact us at http://www.VibrantWeddings.com, avibrantwedding@gmail.com or (619) 852-6886. 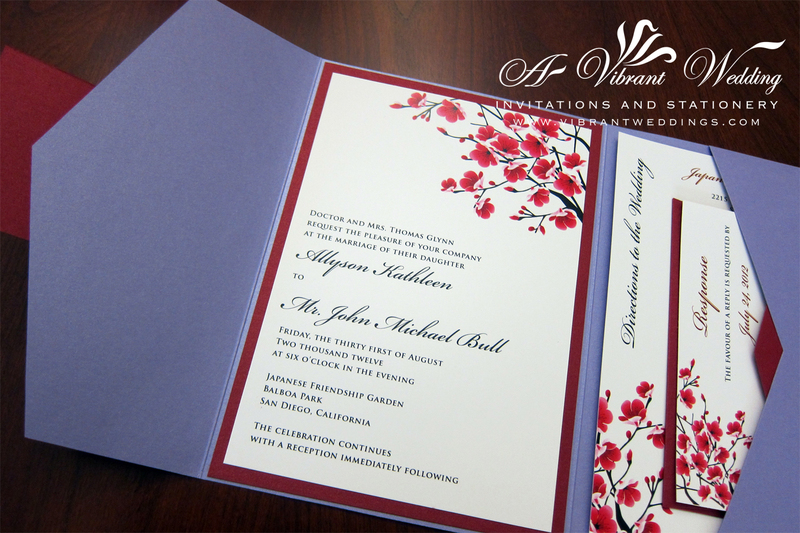 $9.00 per invitation suite for a set of 100 invitations, fully assembled. Includes 5X7″ Pocket-fold invitation in the metallic Platinum, a Double-layered printed outer seal, Double-layered invitation on the inside, a flat RSVP card and two blank metallic envelopes. 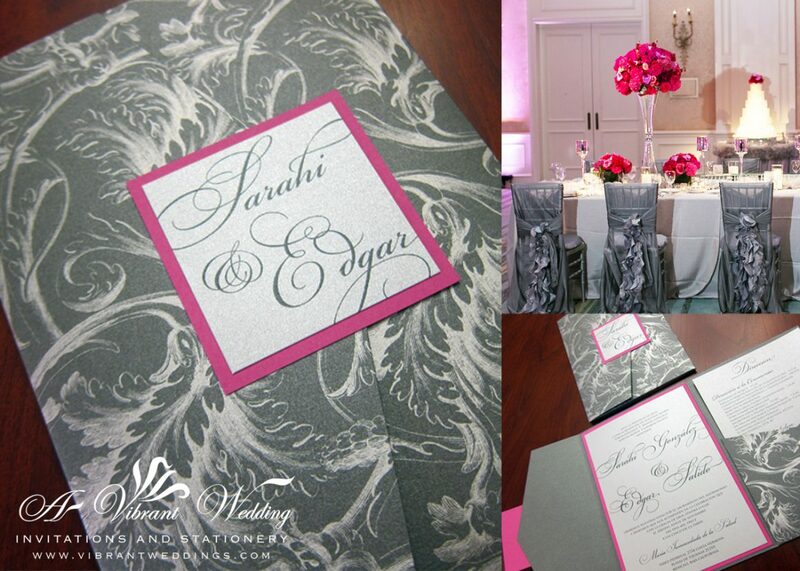 Entire invitation printed on our metallic shimmer card-stock. Red and Turquoise wedding invitation with sea turtle design. 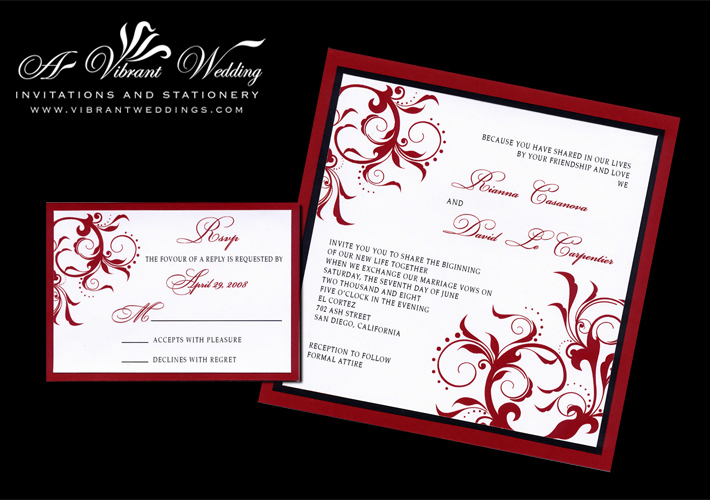 Included are 5×7″ Triple-layered Invitation, a flat 3.5×5″ Response card, and two blank matte envelopes (White or Ivory). 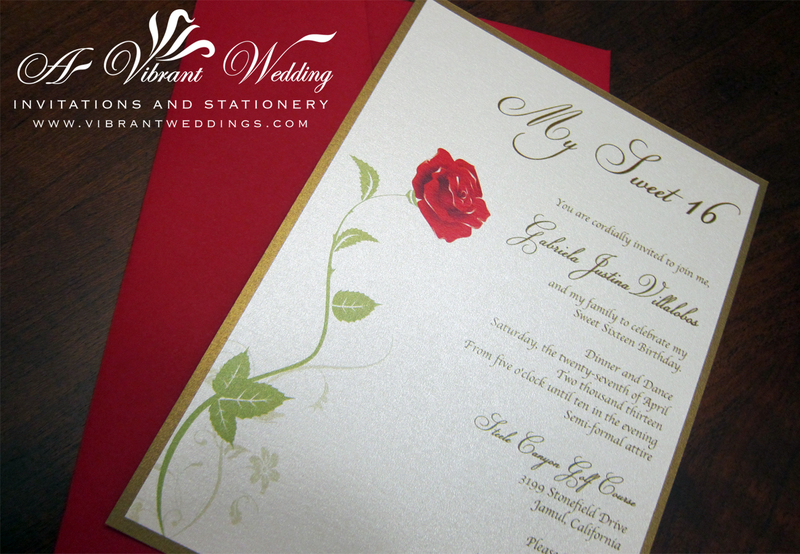 Sweet 16 Birthday Invitation – Beauty & The Beast Theme with a Single Red Rose Design. 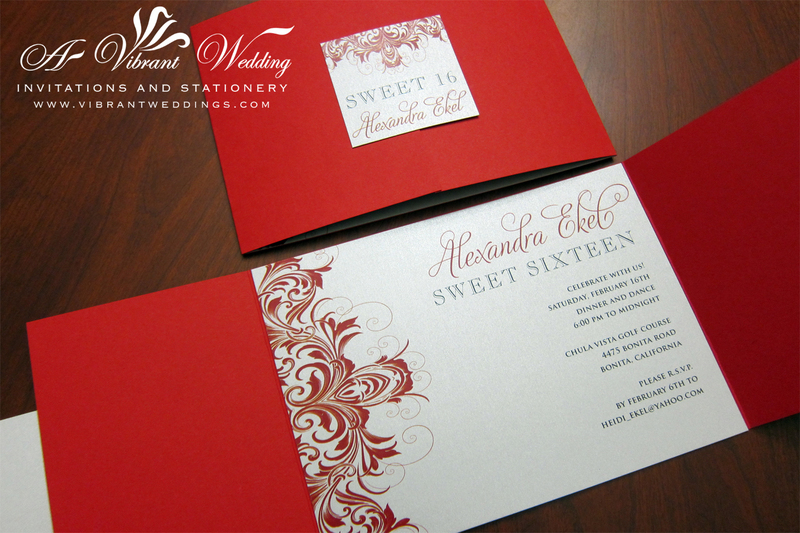 Custom design your Sweet 16 or Quinceanera Birthday Invitations with A Vibrant Wedding. To view our extensive portfolio or to customize your own invitation, please contact us at http://www.VibrantWeddings.com, avibrantwedding@gmail.com or (619) 852-6886. $4.00 per invitation suite for 100 invitations fully assembled (Two matted sheets of paper glued together). Please contact us to get an estimate for less than 100. Add a Response Card and Response Envelope for $1.00 additional. Sweet sixteen Birthday Invitation. 5×7″ Double-layered. “Hi Dimar. It has been months since the wedding and I still need to write a great recommendation for our invitations and your work. We had compliments before, throughout, and after the wedding. We have two neighbor couples that are engaged, both of whom we have spoken very highly about your work. We will be sharing your information tomorrow. $8.00 per invitation suite fully assembled for 100 invitations. Includes 5X7″ Pocket-fold invitation, a Double-layered printed outer seal, Double-layered invitation on the inside, a flat Response card and two blank matte envelopes. Design is printed on white matte heavy card-stock paper.